Jaime Sabines was one of Mexico's most outstanding poets. 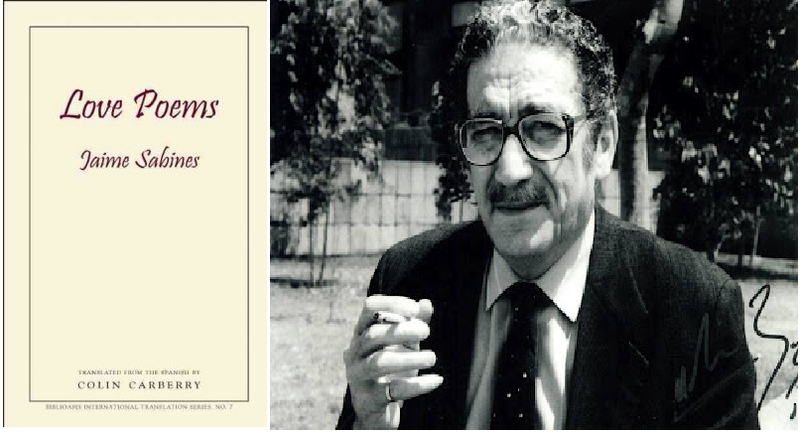 Jaime Sabines Gutiérrez was born in 1926 in Tuxtla Gutiérrez, Chiapas, to a Lebanese immigrant father who arrived in Mexico from Cuba, and a Chiapan mother. He came to Mexico City in 1945, where he studied philosophy and letters at the National Autonomous University of Mexico (UNAM). Beginning with the slim volume Horal in 1950 and concluding with Otros poemas sueltos (Other Assorted Poems) (1973-1993), Sabines published ten collections of poetry that have been translated into many languages and that earned him widespread critical acclaim and virtually all of his country’s major literary awards and honours. Curiously, though, for a poet who shunned publicity and studiously avoided conventional intellectual circles, Sabines was a wildly popular figure in his native Mexico, where his rare public appearances drew hundreds of readers, prompting Elena Poniatowska to declare that “he brought poetry to the streets.” Émile Martel, Canadian author and Sabines translator (into Québécois French) describes an experience of witnessing the poet perform at the Guadalajara Book Fair in 1995: “During the fair, Sabines had a reading; there was such an overflowing crowd in the lecture hall that the reading was broadcast on large screens and hundreds and hundreds of people gathered to watch him. I remember distinctly mouths moving when he read ‘Los amorosos.’ A living classic, I thought.” As a further indication of Sabines’s popularity, “Los amorosos” (“The Lovers”), the title of perhaps his most celebrated poem, also provides the title for a Mexican movie inspired by the poet’s work and set in his beloved Chiapas. Given below are two different translations of his famous poem "The Lovers". Carberry's translation captures the spirit of the Sabines better than Merwin . those who change, who forget. what they seek, they will not find. crying because they can’t hold on to their love. for today; knowing little else, it’s all they can do. for nothing, but they wait. For what they know they’ll never find. always the next, no, the following, step. those who always—good for them!—have to be alone. like, in order to throttle them. for if they did the worms would devour them. and their bed floats as though on a lake. forsaken of God and Satan. 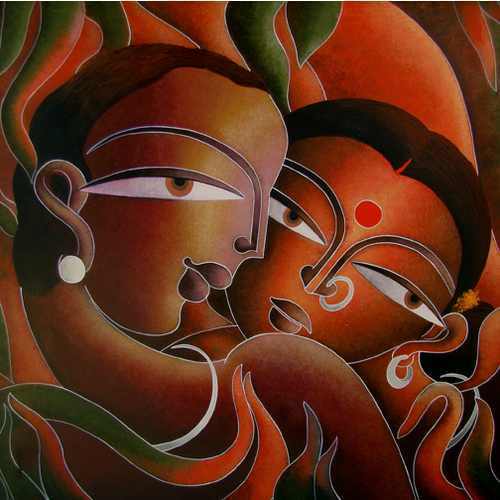 those who believe in love as in a lamp filled with inexhaustible oil. they play the long, sorrowful game of love. no one has to give in, they say. The thought of conforming with anything mortifies them. when trains and roosters bid their painful farewell. the one that trembles most and is hardest to bear. The lovers are looking for something. the ones who change, who forget. Their hearts tell them that they will never find. They don't find, they're looking. crying because they don't save love. live for the day, it's the best they can do, it's all they know. all the time, going somewhere else. not for anything in particular, they just hope. They know that whatever it is they will not find it. always the next step, the other, the other. the ones who must always, fortunately, be alone. The lovers are the serpent in the story. They have snakes instead of arms. like snakes too, suffocating them. because if they do the worms eat them. and terror falls into them. with no God and no devil. at those who believe in love as an inexhaustible lamp. tattooing smoke, at staying where they are. They play the long sad game of love. None of them will give up. The lovers are ashamed to reach any agreement. in the trains, and the roosters wake into sorrow. of gentle streams, and kitchens. a song that is not learned. Jaime Sabines (Author), Colin Carberry (Translator). Introduction of the poet is drawn from Carberry's preface.